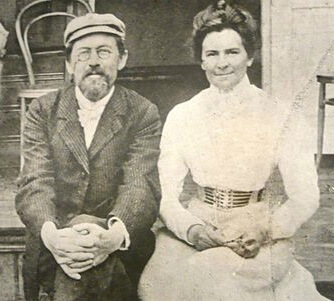 In 1879 Chekhov was admitted to medical school and he joined his family in Moscow. He assumed financial responsibility for the family and while attending classes at Moscow State University, he wrote and sold a large number of humorous stories and vignettes of contemporary Russian life. He published more than four hundred short stories, sketches and vignettes by the age of twenty-six. Some consider Chekhov to be the founder of the modern short story and his influence is observed in a diverse group of writers including Flannery O'Connor, Tennessee Williams, William Somerset Maugham, Raymond Carver and John Cheever. Most of the English-speaking world knows him as a playwright, particularly for The Seagull, Uncle Vanya, Three Sisters and The Cherry Orchard. Some popular starting points for short story readers include: Ward No. 6, The Darling and Gusev, The Hunstman and The Lady with the Little Dog. A Dreary Story is also an excellent work. Due to it's length I have classified it here as a book. It's also well known under the alternative title A Boring Story which is the title listed in the short story section as a convenience to readers searching under that name. Anton Chekhov himself was personally fond of his short story, The Student. 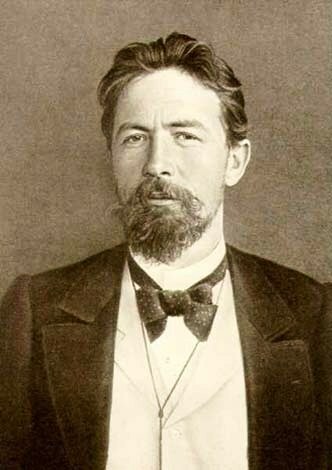 In 1897 Chekhov was diagnosed with tuberculosis. He purchased land in Yalta in 1898 after his father's death and had a villa built. He moved into the villa in 1899 with his mother and sister. This was a very prolific period for the great writer and he produced some of his most famous work during this period. Amongst those works is a trilogy featuring Ivan Ivanovitch, a veterinary surgeon and his schoolmaster friend, Burkin. The two are on a small trekking and shooting holiday. Chekhov overlays three stories that are amongst his most famous short stories in a trilogy sometimes referred to as "The Little Trilogy". The three short stories, in order, are: The Man in a Case, Gooseberries, and About Love. It was also during this period in Yalta that he produced Three Sisters and The Cherry Orchard. Witty to the end, Chekhov's last words were, "I haven't had champagne for a long time." His words were a satirical reference to a specific etiquette practiced in German medicine at the time; when it was determined that there was no hope for a patient's recovery, it was customary for the doctor to offer the patient a glass of champagne. 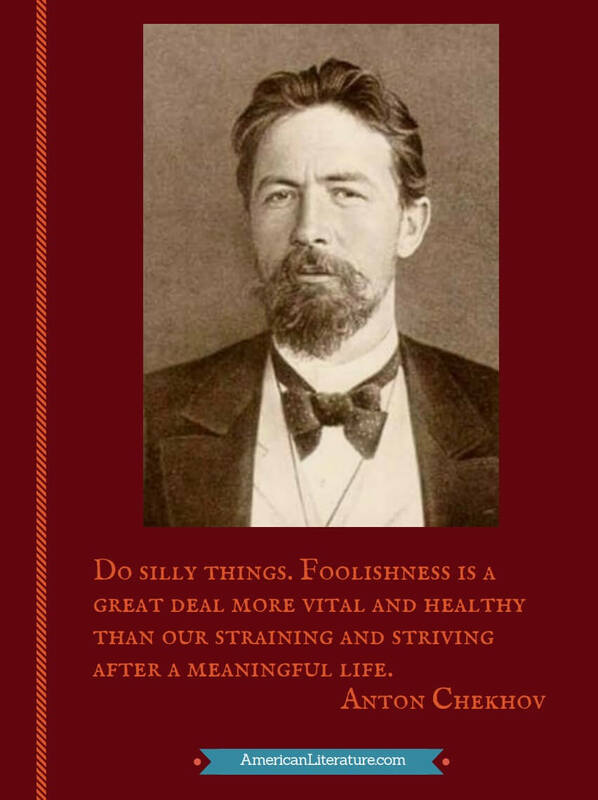 We feature two volumes of Anton Chekhov's great short stories in our Favorite Short Stories Collection. You may also enjoy reminiscences about Chekhov by Maxim Gorky and Aleksandr Kuprin. 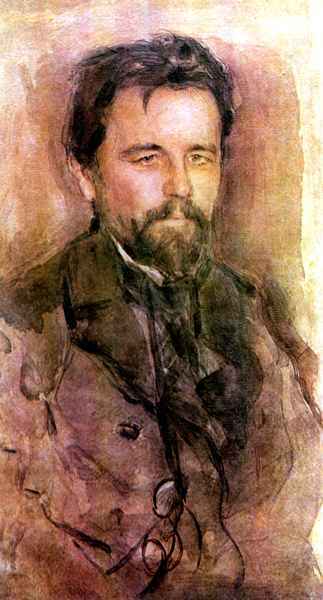 Enjoy American Literature's Anton Chekhov images at Pinterest.